I’ve been to my fair share of Thursday night music events–it’s so close to the weekend I’m not worried about sleep. 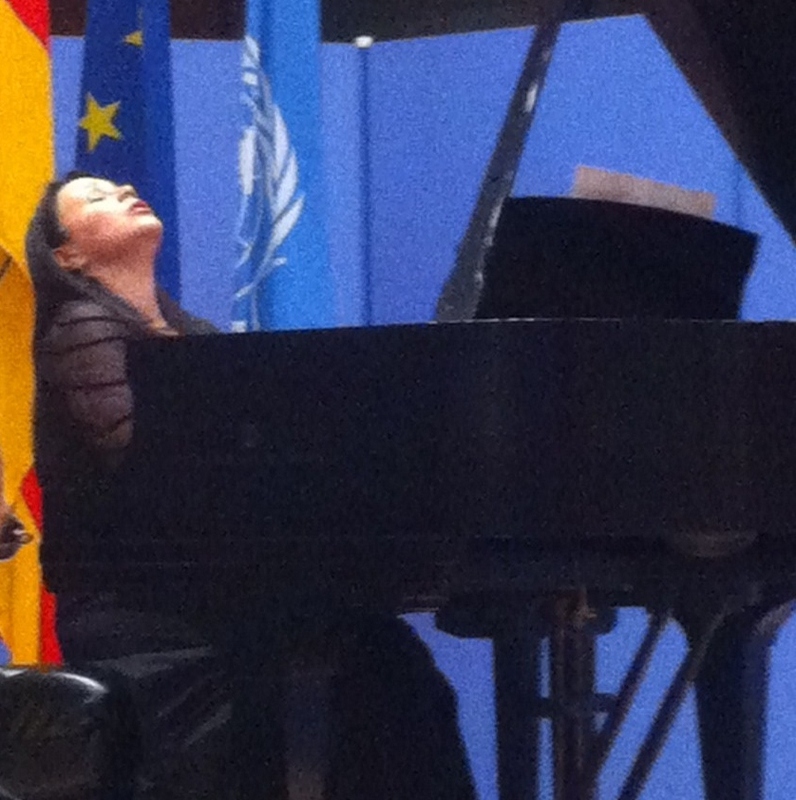 Last Thursday’s show of choice was a trip to the German Consulate to see famed Russian pianist Anna Gourari perform a collection of pieces including the likes of Johann Sebastian Bach and Frederyk Chopin among others. Getting into the consulate was no small feat, as I had to sign in and go through a metal detector–not something that usually precedes a music event in the city. Once inside, though, it quickly became apparent I’d made a good choice. The room allotted for Gourari’s performance was filled to the brim with listeners from around the world, a statement I can attest to, as the guests directly behind me were discussing class in German. Russian born and German trained, Gourari has practiced piano for a number of years and has received many awards as well as fantastic feedback from various sources, all sincerely deserved. I have never seen anyone so lost in music as Gourari was during her recital. For much of the concert she played with her eyes closed and head back, visibly engulfing herself completely in the music flowing from her fingers. The relationship Gourari has with her instruments (fingers included) is one of the most intimate imaginable. It was obvious within a matter of minutes that we were mere outsiders enjoying the sound of Gourari sharing secrets with the grand piano at her mercy. While in other cases, I would most likely ache for these secrets, during Gourari’s performance I only wanted to enjoy the gorgeous melodies she produced, and that’s exactly what I did. Keep your eyes peeled for events like this–they’re a wonderful break from typical venues and from the fast paced life we’re all sometimes prisoner to.